If you are a business person or a freelancer, you need to have a tool to create invoice or bills. Invoice is an important document between seller and buyer. There are lots of software for creating invoices. You can either use desktop based software or online software. But I recommend online invoice generator as it saves your invoices on the cloud and makes it easy to access. Invoice generator tools allow you to create invoices and send to your client. In this article, I am listing few best online invoice creator tools. InvoiceToMe is a popular online tool to create customized invoices quicker. You can add items, price, quantity, and tax percentage. It will automatically calculate the payable amount automatically. At the end, you can download the invoice in PDF format. Zoho Invoice is another popular invoice creator online tool. I personally use Zoho Invoice creator for my business. It has multiple formats for your invoice. Select which suite you. You can easily download in PDF or send via email. This tool is powerful but simple to use. You also have Android and iOS apps to manage your invoices on the go. 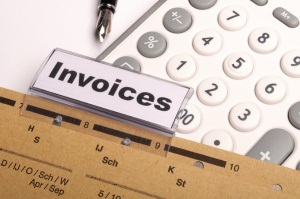 Invoicera is also a nice online invoice management tool designed to save your time. It is not a fully free tool. It comes in 30 days free trial. If you think that the tool works good for you, you can purchase the full license. FreeInvoiceMaker is another free and easy to use invoice creator tool. Fill out the simple form with invoicing details and your invoice is ready. For using all features of the tool, you need to create a free account. PaperFreeBilling is another nice tool that tries to use the concept of e-billing. With this tool, you can create a free invoice and send online to your clients. It does not let you download invoice as PDF or other formats. There are many other online and offline tools are available that offers invoicing work. Share your favorite tool with us via comment.